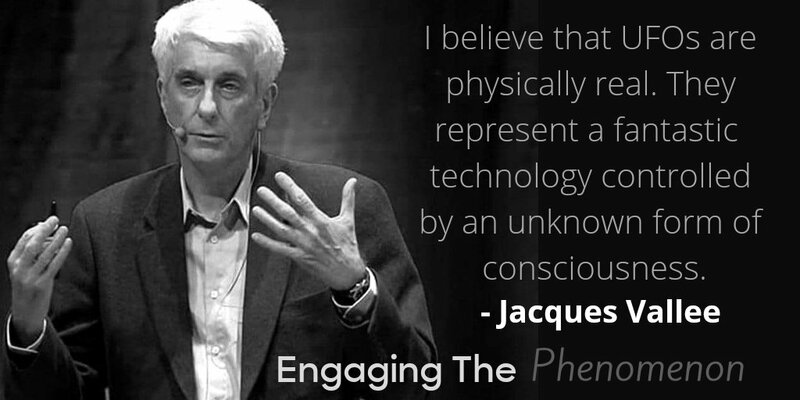 Recently a person who calls himself “Concerned Earthling” wrote a fan letter (1) to Jacques Vallee (2), a noted computer scientist, venture capitalist, and UFO investigator to inquire why he was withdrawing from the field of UFO research. Vallee wrote back(3), reassuring the fan that he was not entirely separating himself from UFO studies, but plans to continue delving into the phenomenon. Vallee would be a fascinating character even if it were not for his interest in UFOs. He was involved in the Arpanet, the predecessor of today’s Internet. He was an astronomer while living in France in the early 1960s and wrote a science fiction novel “Le Sub-Espace” (Subspace.) He later became a venture capitalist specializing in a number of high-tech business ventures. As a computer scientist, Vallee started to notice common patterns in not only UFOs but also religious visitations, sightings of cryptids, and psychic phenomenon going back throughout history. He believes that every one of these events, once one accounts for events caused by natural phenomenon, is the result of a nonhuman consciousness, likely from another dimension, attempting to manipulate the consciousness of human beings to effect social change. The theory suggests that disparate events such as the visitation of the Virgin Mary at Fatima, any given religious revelation perceived by such people as different as Mohammed and Joseph Smith, and any unexplained UFO sighting are part of a campaign to influence humanity. 5. The apparent ability of UFOs to manipulate space and time suggests radically different and richer alternatives. He has not withdrawn entirely from UFO studies, however. He has recently published a new book, “Wonders in the Sky,” (8) which chronicles aerial phenomenon, which could be interpreted as UFOs, dating back to antiquity. He notes that pre-20th century phenomena predate heavier-than-air aircraft, Area 51, and (for the most part) speculation about extraterrestrial life. In effect, Vallee has developed a kind of unified field theory that explains a whole host of unexplained phenomenon. Agree with him or not, his ideas are original and compelling. theory or they're sensibly waiting to find the truth. There are a LOT of difficulties with the idea of space travel..gravity pulls..radiation..and more than my 'less-than-scientific-mind' conceives. However much people want the Star Trek Federation to be a reality..I am really afraid the truth is likely to be closer to home in some relative space/time continuum. And the way that these answers "show up", much later than I looked for them, often takes away that ! eureka !! moment. Not like these "questions" are scientific experiments. 😅 But yeah, I do envy the idea of a scientist who gets "an idea". The scientist who has a hypothesis, and then tries it out. Have we forgotten about that word, hypothesis? Lol. DOES it make a "test" slanted? It SHOULD make a person honest. In the scientific world, you want your test to be repeatable. By anyone. My ! eureka ! moment is tinted (knowingly OR unknowingly) by the thought " I can't believe it" ; because of its supernatural or paranormal slant. The soon next thought is " no one will believe it "; so that takes the fun out of sharing (there IS FUN in sharing 😊). If I lead a person on a little too much. . .... I'm truly sorry. That ! eureka ! moment is SO memorable when you find it yourself! (Even if it takes a person a little longer to realize what has been "stumbled upon". I'm having trouble this morning pulling up that book by Vallee and Aubeck. Here's another book by Chris Aubeck (Vallee writes the forward). The Inhabited Sky,” in La Casa Encendida, Madrid. Aubeck currently lives in Andalusia. Flavius Josephus writes: "On the one and twentieth day of the month Artemisius, a certain prodigious and incredible phenomenon appeared: I suppose the account of it would seem to be a fable, were it not related by those that saw it, and were not the events that followed it of so considerable a nature as to deserve such signals; for, before sun-setting, chariots and troops of soldiers in their armor were seen running about among the clouds, and surrounding cities." CXI, quoted in " The Genuine Works of Flavius Josephus, the Jewish Historian," translated by William Whiston, (London, 1737). See also: Sara Schechner, Comets, Popular Culture and the Birth of Modern Cosmology (Princeton University Press: 1999),44 32.
that would be something to behold. I think so many things from so long ago would be see a tad differently today. When the brain only has so many references..to view something as..it makes do. An airplane could become a chariot in the sky. I wonder hundreds of years from now..how inadequate our own views of things will be. I'm trying to figure out what I'm actually interested in now. I could care less about greys and their agenda if they even have one..were they going to take over the world..they'd have done it before now. If any of them were so inclined..it would be over and done...IF they are more advanced than we are. Maybe I'm more interested in what is there..that we can't see. Your mystery foot print JC..I'd love to know what made it. Things I know exist but can't see..angels..other elements that inhabit our space. So much of 'alien' lore gets drawn out into nowhere land..spot an alien ship...then it's the black helicopter or the men in black or or or. Travis Walton intrigues me because of his detail. He wasn't seeing men in black after the fact I wasn't..don't think Sky was. Sometimes I think they're thrown into the mix just to throw the mix off. Ennui? I think that's what I'm suffering from. grrrrr..
Having further familiarized myself with the 50-plus year old writings of John A. Keel these past few months, finally getting down and reading long-loved cult classics like Operation Trojan Horse (1970) and The Mothman Prophecies (1975), the repeated references to the works of French-American scientist and ufologist Jacques Vallee – a contemporary, and friend, of the late John A. Keel – finally convinced me that Vallee’s own classic, Passport to Magonia, was required reading. Why? Because Keel, in his entertaining and entirely readable way, helped pull away the masks of the manipulative pranksters (“ultraterrestrials”) of the Superspectrum, essentially reporting that these entities have taken on different guises over the millennia –and that they have always shared our planet, despite humanity not knowing who they really are or where they live. They are here. It’s just they are the ones who decide when they appear before human beings and in what form. Most commonly, in the Middle Ages, they were seen as the fairies and elves of ancient folklore, and so forth. But with time came change and the “costumes” and methods also changed, as we entered the age of the airplane and the “Space Age,” with the increased appearance of “craft,” allegedly piloted by “aliens” who are here to help mankind and steer us to a New Age, or so we are told. And so it is interesting how both Keel and Vallee both tapped into the idea that took them from believing the extraterrestrial angle regarding aliens and UFOs to promoting the interdimensional idea, which dismisses the theory that the "visitors" are travelers from another planet. 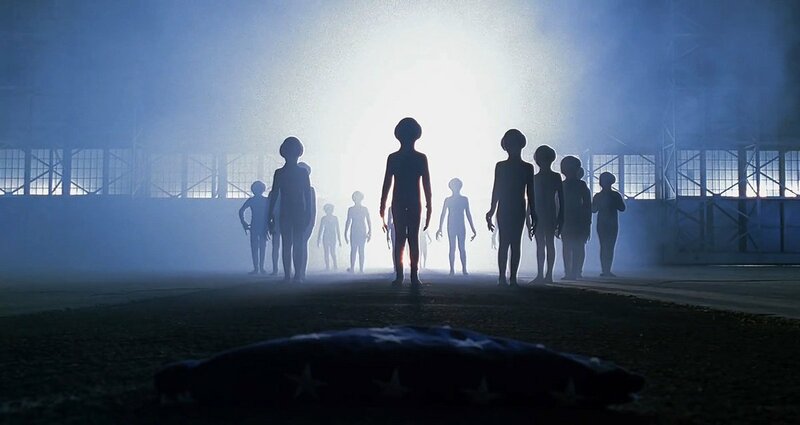 On the day I began reading Passport to Magonia (Nov. 16th), I later learned that I was reading the book on the 40th anniversary of the release of the Steven Spielberg-directed film Close Encounters of the Third Kind. In this film, a French scientist character named Lacombe (played by Francois Truffaut) was directly inspired by Vallee. In any event, Passport to Magonia ("Magonia" being a mythological "cloud realm" populated by the entities so often encountered during modern cases of UFO sightings or in antiquity) highlights the idea, as Vallee writes in the preface, that "investigators (into UFOs) have never recognized the fact that belief identical to those held today have recurred throughout recorded history and under forms best adapted to the believer's country, race, and social regime." Vallee also admits that when he wrote the manuscript for Passport to Magonia in the late 1960's, he "entirely forgot that I was a scientist by profession," confessing that he felt science was not pursuing questions that human beings have in their hearts. And as a scientist, he opted to delve into the lengthy history of folklore, from around the world, and in Europe and the Americas in particular, noting the large number of strange beings, aerial craft ("cloudships") and other odd events that perplexed man and woman alike over the centuries. And what better way to interfere with the destiny of human beings as we become more technologically advanced. The forces that are appearing in various forms (short beings, tall beings, male or female, with masks, gas masks, helmets, long hair, no hair, big eyes, small eyes, mouth movement or telepathy ...) over the years seem to understand that, as Vallee writes, "(h)uman actions are based on imagination, belief, and faith, not on objective observation ..." Yes, we are human and fallible. Continuing, Vallee writes: "Even science, which claims its methods and theories are rationally developed, is really shaped by emotion and fancy, or by fear. And to control human imagination is to shape mankind's collective destiny, provided the source of this control is not identifiable by the public." Indeed! From the fairies, "wee folk" "Gentry," "Good People," and dwarves that haunted to European countryside to today's seemingly solid "flying saucers," Vallee makes valid arguments that the phenomenon, over the centuries, are one and the same, as the book's cover seems to indicate. Sounds like he is keeping his mind open, rather than accepting carte blanche the reports of people which may, in fact, have been contaminated by questioning methods, aimed hypnosis, etc. I'm always been interested in reading about accounts that do not substanciate the poster alien on the Communion cover. One thing though seems to hold true in many reports as an under-story rather than detail. The reporting people (myself included) were frightened beyond anything that had happened to them before IN THEIR ENTIRE LIFE. They may have calmed themselves or asked for help to do so. But its hard for me to disregard the unlikeliness of a person driving along, tired, ready to be home and in bed and suddenly being in the situation of overwhelming fear. I think some of this fear is species alienation. The same thing that makes most humans not want to cuddle up to snakes or spiders. Or roaches. (There are of course a few that do). But the deep paralizing fear is significant to me. We now know that trauma can be passed through the DNA to one's children. If humans have been in the presence of Visitors all along, a signifcant amount of us may carry the trauma gene for fearing them. Just a hypothesis of mine. Likewise fearing "demons" is part of the mix. People seem to like the idea of meeting angels but the ones who actually have (maybe) feel differently. They are fear producing as well. Incidentally, CBC radio had a man on yesterday talking about a signal interruptor that could be used to stop fleeing fugitives in a car. Or stop a car or vehicle from crashing through a gate or into a crowded area and detonating. It takes only a moment to jam the electric signals necessary to keep an engine running, and our police have access to them now. All those accounts of cars that stop suddenly once the UFO is nearby? Yeah. Like that. When it comes to the dawn of the modern computer age, most of us think of rebel visionaries and college dropouts working out of their parents’ garage; whiz kids who became billionaires before turning thirty, by tinkering with clunky prototypes that held the promise of revolutionizing the world in ways previous generations could not even dream of. All the multinational companies that were born out of those success stories are all too happy to uphold this romanticized version of history for their clients. But like ALL versions of history this one is also woefully incomplete, because it leaves out a key element in Silicon Valley’s past that those tech giants are either unaware of, or just too embarrassed to acknowledge — it leaves out PSI phenomena. 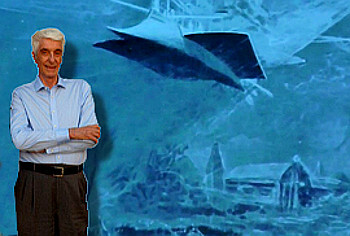 In his presentation for the 61st Annual Convention of the Parapsychological Association on the campus of the Institute for Noetic Sciences in Petaluma, California, Dr. Jacques Vallee spoke about this ‘hidden history’ of Silicon Valley, and how the world wide web we’re so proud and dependent on owes a big debt to psychical research and the study of the untapped potentials of human consciousness, since it was at the famous Stanford Research Institute (SRI) that their scientists were involved in two major programs that ended up working in tandem: the ARPANET and the Stargate “psychic spy” program. 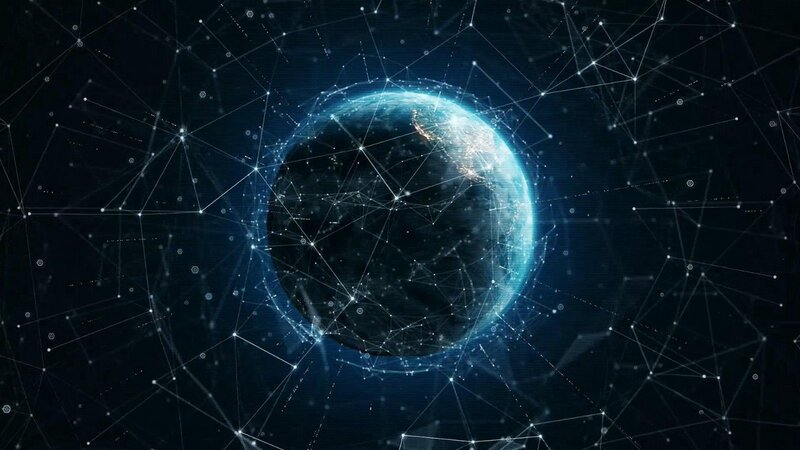 The ARPANET, as everybody knows by now, was the precursor of the modern Internet and developed at the behest of the Department of Defense’s ARPA (now called DARPA) in order to create a computer network capable of enduring a nuclear conflagration. In the early 1970s Vallee was stationed at SRI’s Augmentation Research Center – where many important technological breakthroughs were achieved for companies like Xerox and Hewlett Packard, such as the mouse interface – collaborating on the ARPANET project; but, as he explains in the presentation below, he soon became involved in the Stargate program as an ‘unpaid consultant’ and became a good friend of both the researchers and some of the individuals with alleged psychic abilities they were testing, including Ingo Swann and Uri Geller. It was out of this little-known collaboration between the two departments at SRI (the computer scientists and the psychic researchers) that some of the protocols later adopted by Stargate’s remote viewers came to be, like the use of latitude and longitude ‘coordinates’ – which mimicked the ‘virtual addressing’ system in which computers can locate non-local information not stored in their databases, similar to how viewers can retrieve information they have no knowledge of. Vallee also explains how he served as a ‘gateway’ in order to conduct an early experiment with psychics on one of the first commercial networks (TYMNET) in 1975. Instead of using the typical Zener cards – which Swann found insufferably boring! – the psychics were asked to describe rare minerals acquired from geological collections, either on a double-blind format or while being held by the geologists. One of the people who participated in the experiment was Richard Bach, the world-famous author, and with Ingo Swann they were both the ones who obtained the higher scores. In an age in which the illusion of Western supremacy is embodied in the monolithic shape of a smartphone, and when many geeks are anxiously awaiting for the Singularity promised by their techno-prophets, these missing pieces in the incomplete history of Silicon Valley are a sobering reminder that many of the cybernetic breakthroughs we take for granted were brought to us by people who had a great deal of interest in the mystery of Consciousness – and who had no qualms about ‘hacking’ their own consciousness using mind-altering substances… but that’s another long story. The ultimate objective of ARPANET was the augmentation of human intellect, and as such the people involved in laying the foundation for our modern world wide web, saw their goals converging with those of their SRI colleagues working on other types of ‘radical’ ideas, like the study (and practical harnessing) of extra-sensory perception; both groups saw themselves as peers and pioneers pushing the boundaries of Science on different fronts. Which is why Vallee’s final admonition to his audience of parapsychologists is so important: Psi research should lead, not follow. Parapsychologists shouldn’t obediently wait until Physics deigns itself to come up with an adequate model which could explain what they observe in the lab, but the other way around. In doing so, and making adequate use of the modern tools conceived by their old Silicon Valley colleagues, Parapsychology could become instrumental in laying the basis for a much-needed upgrade in modern Science. But perhaps the most shocking (yet hardly surprising) thing Dr. Vallee said in his presentation was in response to a question from the audience, with regards to the topic for which he’s most famous for: UFOs. When asked about his opinion on the current situation in the field of ufology, he revealed he’s in the process of shipping *all* of his former research into the care of two institutions for archival and safe-keeping purposes. “I want to go out to do something else” he stated to an audibly gasping audience, making it clear how even though he’ll forever remain interested in the phenomenon of unidentified flying objects and close encounters with non human entities, he’s ultimately disappointed with how ufology remains “too superficial to really get into the roots of the problem” and wishes to spend the remainder of his life on more fruitful endeavours. The last adieu of a heretic among heretics? At the very least, something to think over for those who still compare Tom Delonge’s To the Stars to the Second Coming. Whatever the case, Dr. Vallee will forever be remembered in the annals of Impossible History as someone who led, instead of merely following. Always has been someone who has my interest. I've always felt that most UFO activity is not from space but from dimensions close to ours..through some sort of doorway or portal..which happened to be his pet theory. Listening to him and reading him, he never sounded like some blundering crackpot.